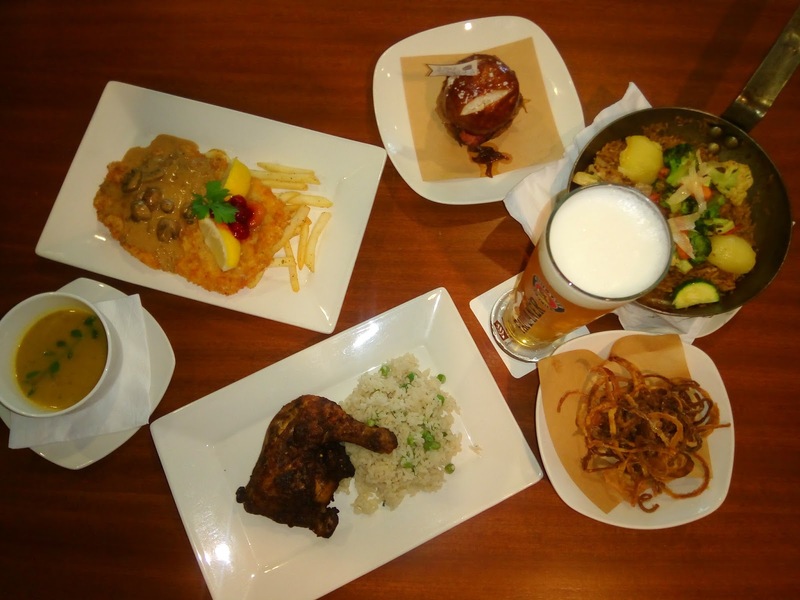 Adae To Remember: New Lunch Specials and Kinder Menu by Brotzeit German Bier Bar & Restaurant! New Lunch Specials and Kinder Menu by Brotzeit German Bier Bar & Restaurant! Welcome to Brotzeit Bier Bar & Restaurant! My family and I got to visit Brotzeit for the first time. It was an afternoon of feasting! 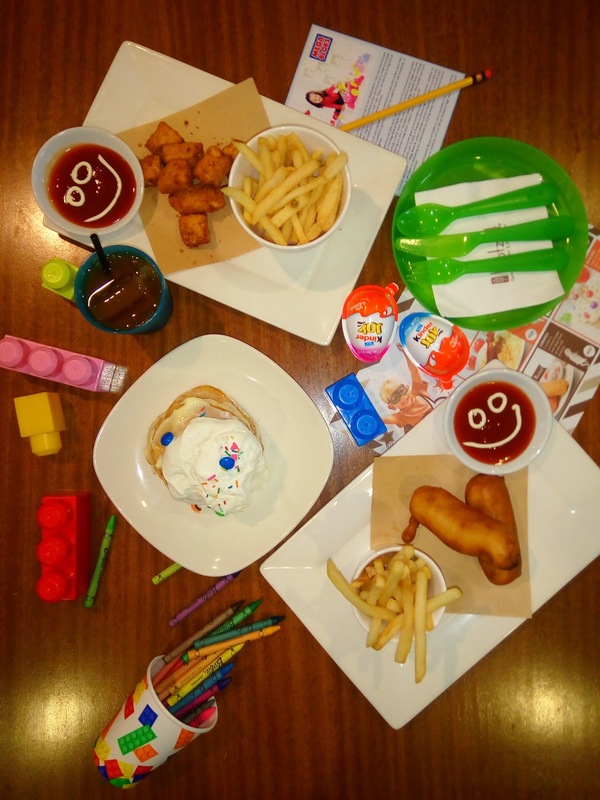 The foodie bunch gathered together and brought our kids to enjoy the brand new kiddie meals in the house. Brotzeit is something new to me and my family. When it comes to food and when I get lazy to cook, I already have the list of our second kitchens...but a German restaurant can not actually be found from my list. Just the typical mom thinking...oh it looks pricey from the outside. Oh no, what to eat in a German resto? Or what can my young lady eat there? Things like that. My perception totally changed that afternoon! 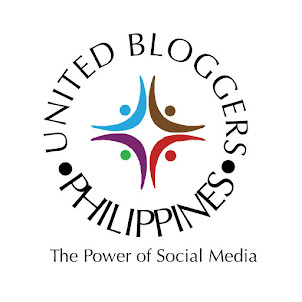 From Chinese, Korean, American, Japanese, Italian and Filipino cuisines now comes an addition to our choices. 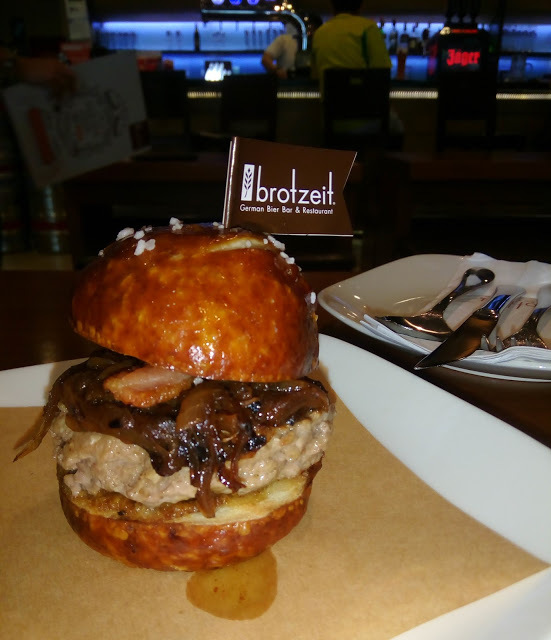 Brotzeit offers Bavarian Cuisine in a chic and totally contemporary setting. It offers world-famous German beers that are surprisingly interesting. ﻿Here's a good starter! 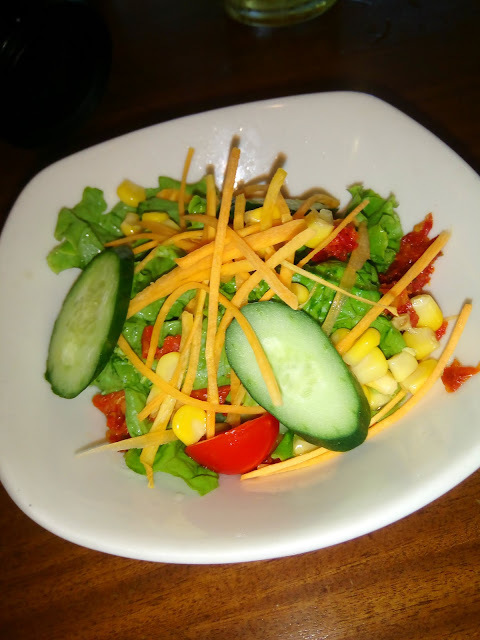 When you feel like having something fresh and healthy, you'll never go wrong with this bowl of fresh mix. It's available in Small and Regular orders. If you are still trying to decide for the main course, this Cheese spaetzle with spinach and feta cheese is perfect to jumpstart your taste buds. Finding a perfect simple meal on the table? 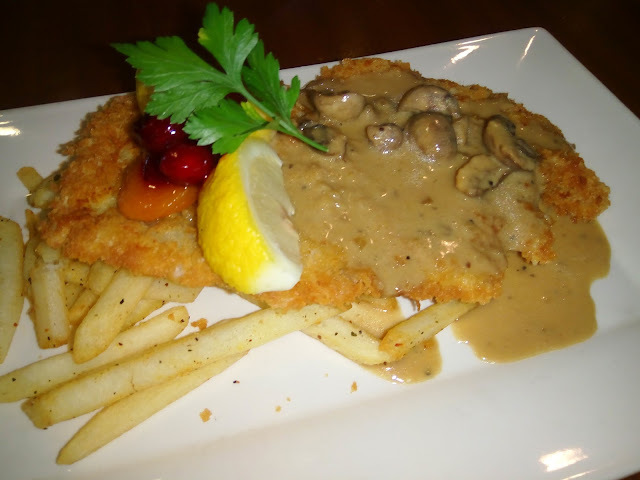 This crispy deep-fried breaded pork cutlet covered with creamy mushroom sauce and pommes is served with bed of potato fries. This may look a lot familiar now. 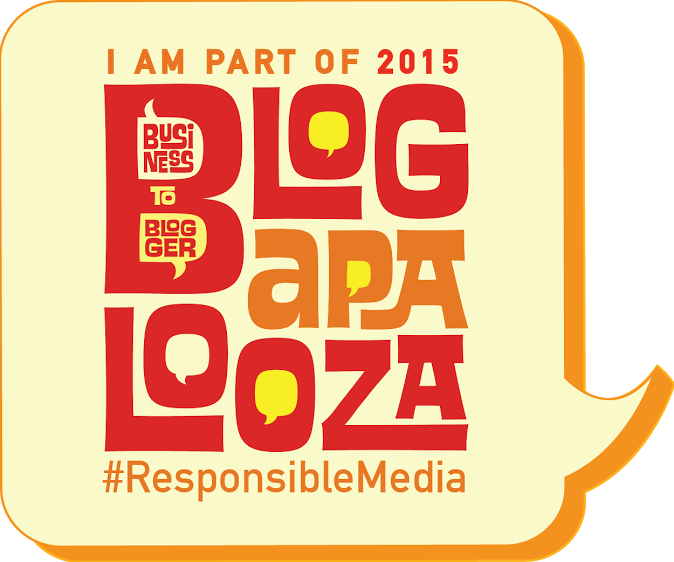 This is our pick for the day. Brotzeit's All Day Breakfast, it comes with Garlic sausage, sunny-side-up egg, bacon, mushrooms, roasted potatoes and Bavarian beans. 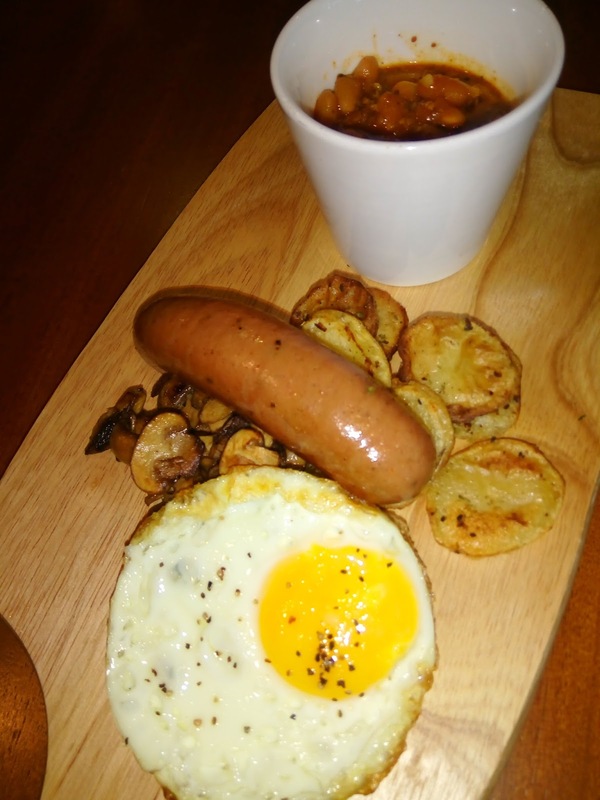 I will never forget the tender, juicy and tasty sausage that is best paired with the spicy beans. It goes with the name, you can enjoy this meal any time of the day! But for me, this one is best for brunch! Try some spicy chicken sausages served with mashed potato. 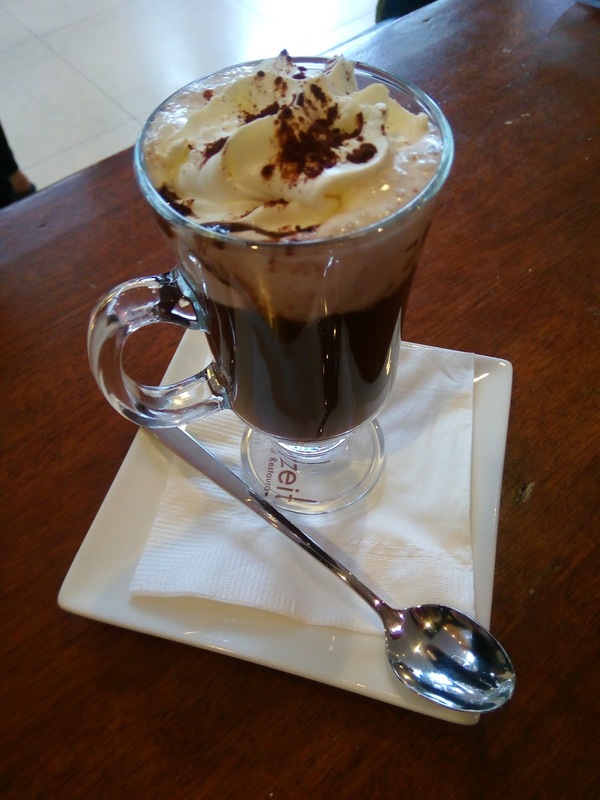 Best with iced-cold beer or ice tea for me please. Here's a pan of stewed pork tenderloin with roasted vegetables rice. 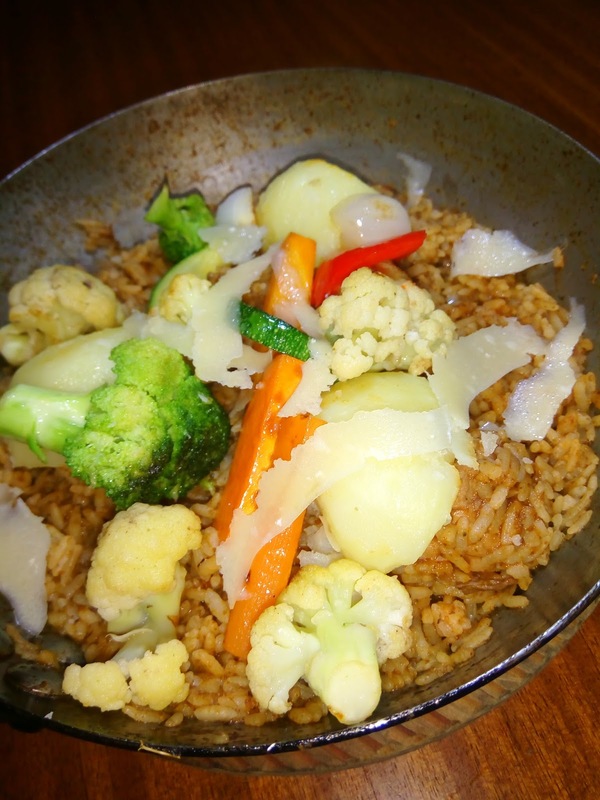 You'll love the flavorful rice!﻿﻿ Can be a sort of Paella. 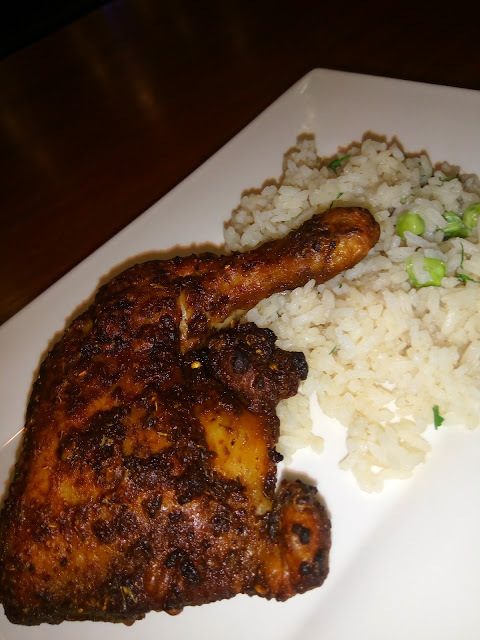 Take a look at this beautiful roast chicken quarter with reis pilav (chicken with rice) and green peas or pommes (fries). 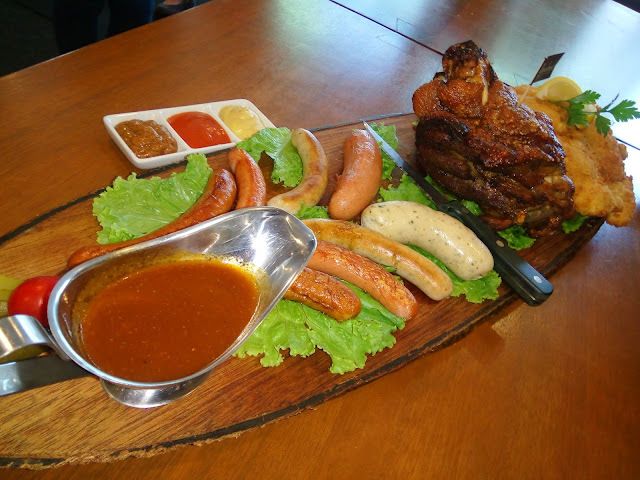 If you are not familiar with German cuisine, well, you are safe to order this one. Flavored with herbs and spices! 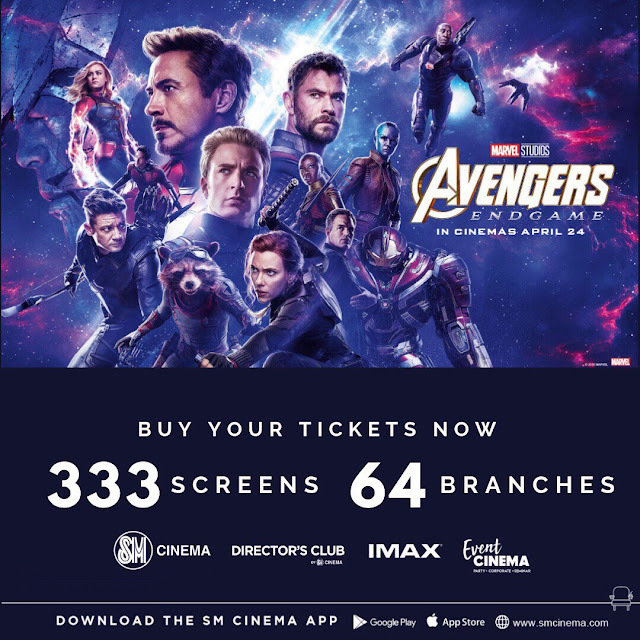 You'll love it too! My Hubby loved this one. 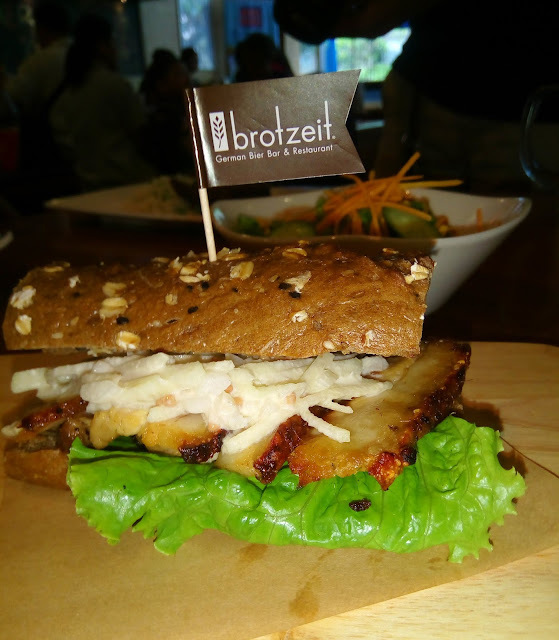 They use sourdough bread for this sandwich with generous amount of crispy pork belly topped with green apple salad. 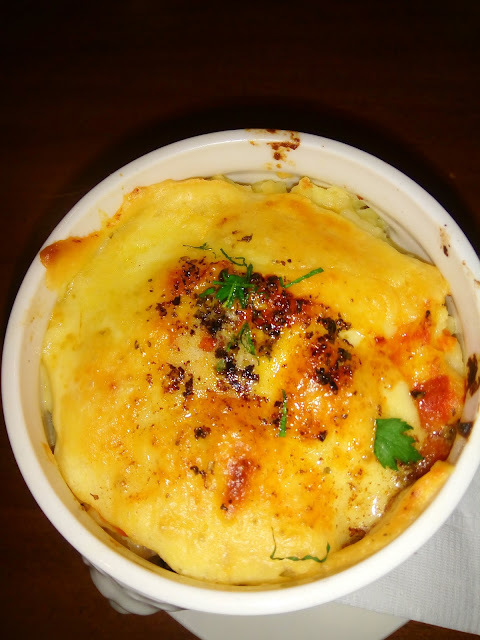 It's a good idea for a sort of light yet satisfying meal for the day if you need to hurry back for work or something. Burger lovers must try this. It's a meat patty with bacon and caramelized onion on a brezn (pretzel) bun! My favorite! The bun may look cute and tiny, but once you take a bite, you'll realize that there's a reason why fork and knife was served with it. Not the usual soft bun around. By the way, there's a spicy thing that I failed to recognize at that moment. Don't fret, it's a good new taste! And if you are looking for a real Bavarian style feast? A huge wooden platter with 3 best dishes in the house! 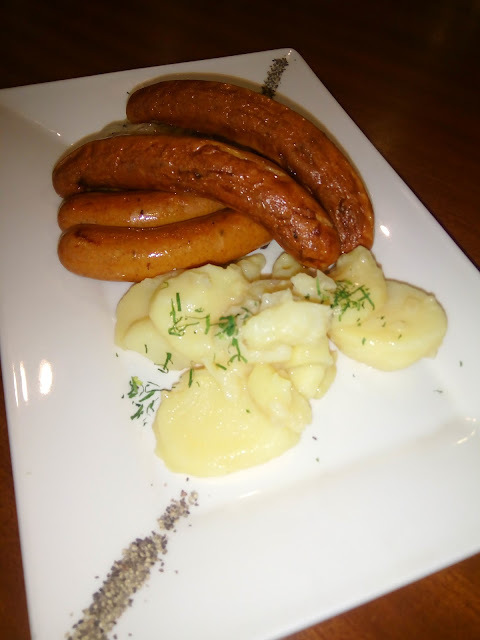 "SCHWEINSHAXN" The traditional German favorite. 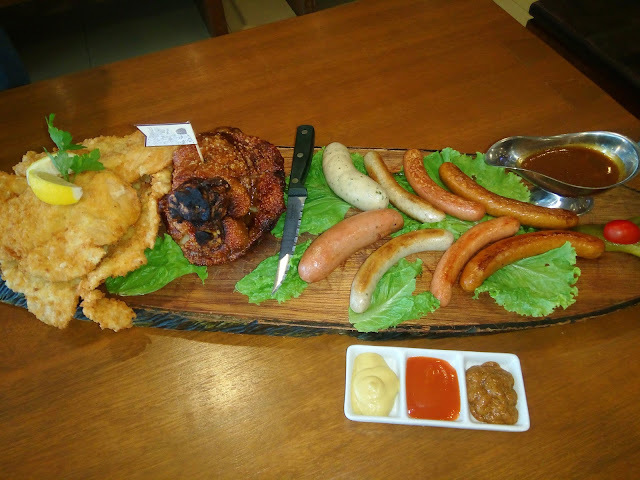 Broiled pork knuckles (like Filipino Crispy Pata), chicken schnitzels and different kind of sausages (pork and chicken). Definitely good for sharing, but would actually depend on your appetite...Just looking at it makes me feel so full already. Whatcha gonna do with the dessert? 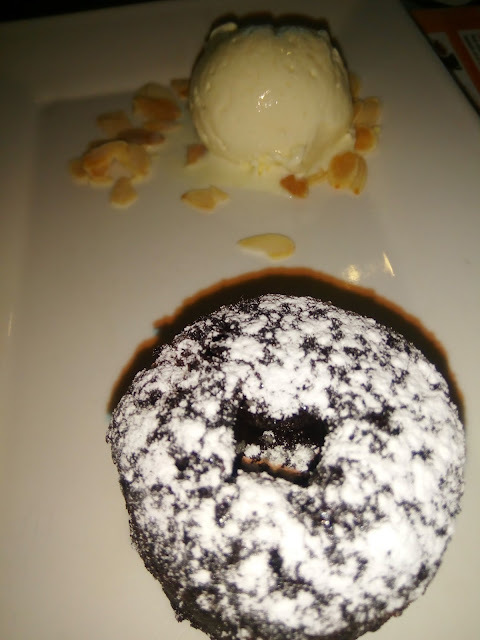 Dig in to a warm chocolate cake served with Stracciatella ice cream! This is a winner! 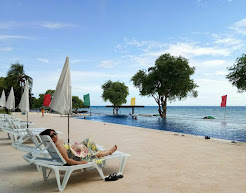 As I remember the song of Phineas and Ferb....Summer belongs to you! They meant for them, kids! 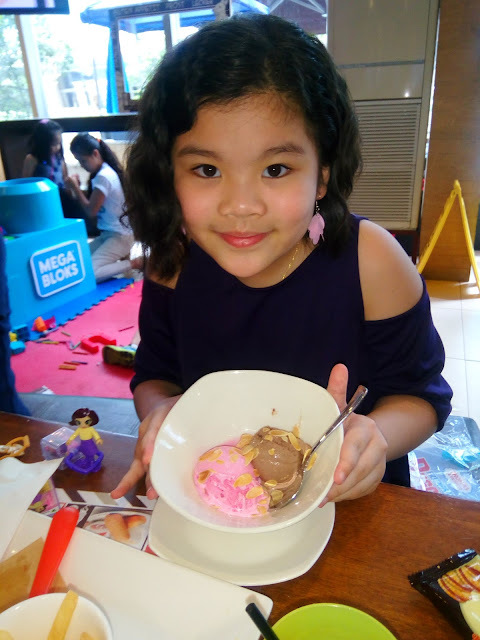 It's the time of the year where they can not only explore new activities but to also try some new food other than their usual "baon" to school. 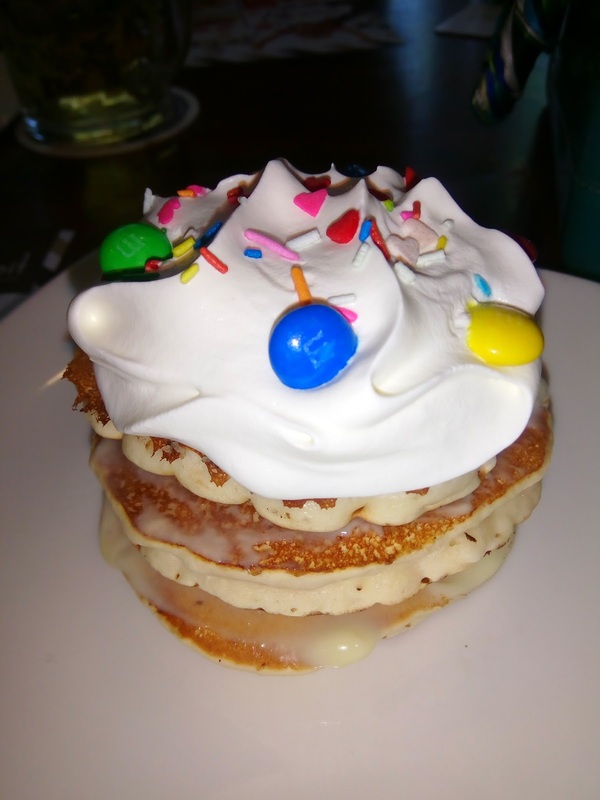 Tall layers of pancakes topped with cream and sprinkles. Who can resist this one! 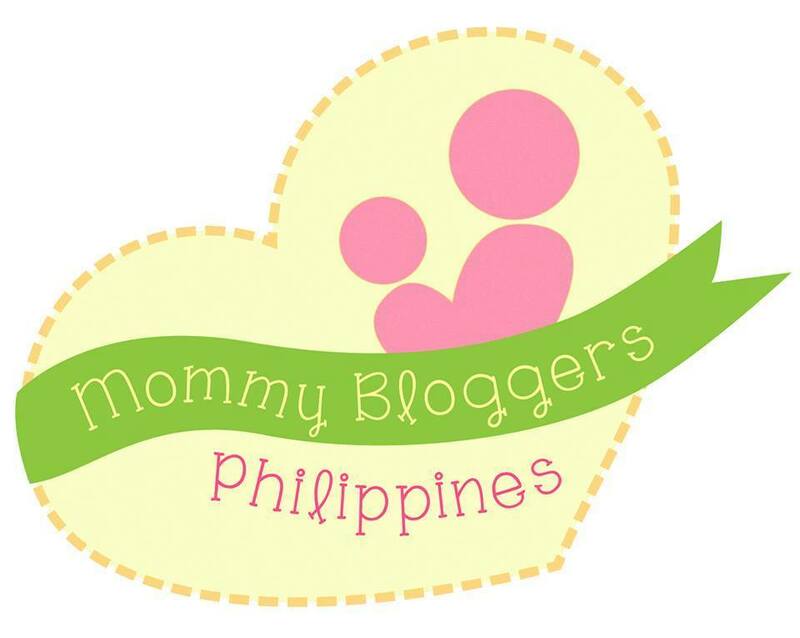 Your kids will go gaga over this fluffy thingy! My goodness! 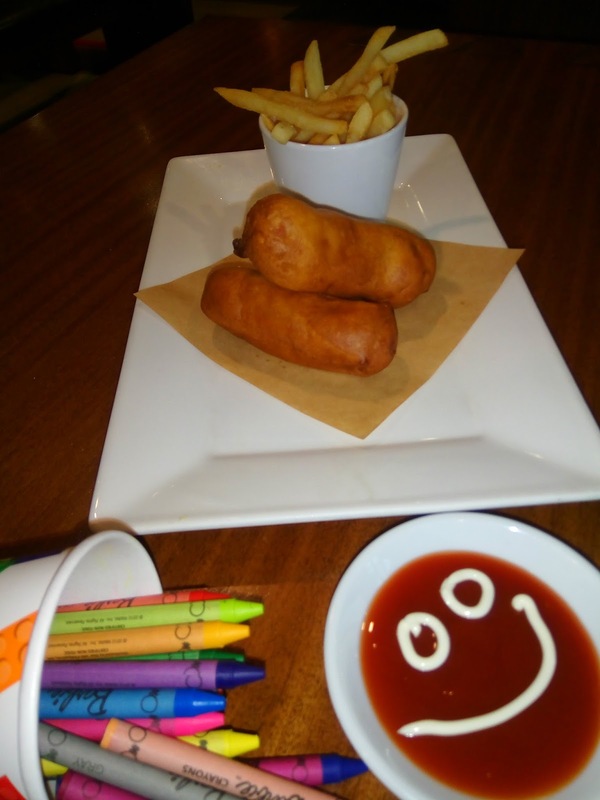 These corn dog not only gave a big smile to the kids but to adults as well! 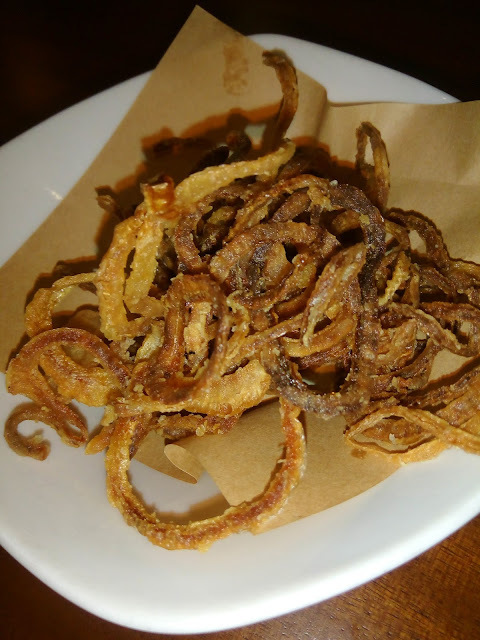 Bringing back memories...then goes the foodies memory lane! It's our all-time favorite. Served with French fries and happy face ketchup! Hey hey, they have chicken nuggets too! 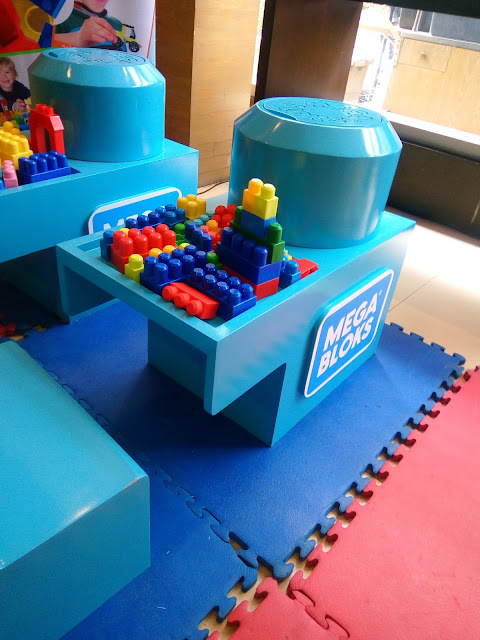 The Megablocks and Kinder Joy treats made everything perfect for the blogger's kids who just met each other and played like they have known each other that long. The beauty of pure mind! The kids definitely had so much fun! The good news here, Kinder Menu can cover for you dear parents like me. Any kinder meal of your child's choice comes with french fries and iced-tea. And during the event, you can see so much joy from their faces. After getting tired from playing, they enjoyed their kinder menu! Class Picture of the cuties! My new discovery, German cuisines are awesome too! Almost everything is new to me! Their home-made sausages is divine! 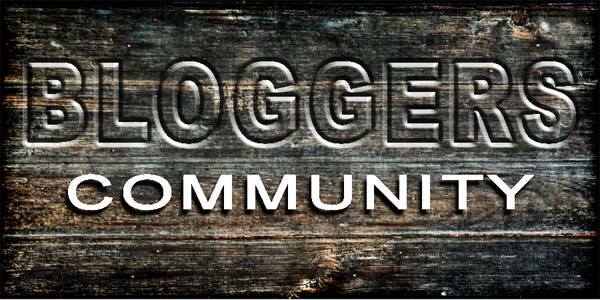 A cozy, modern place to gather your family and friends. 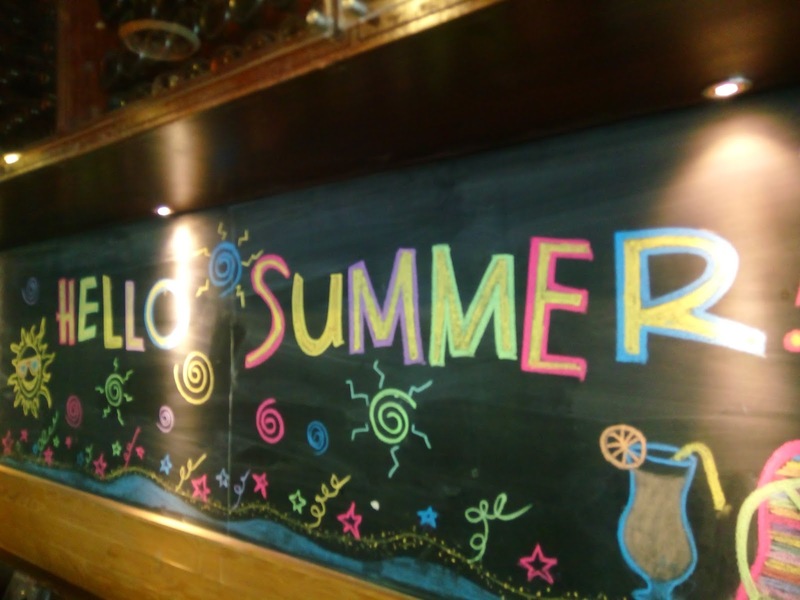 It's a family friendly restaurant where adults can enjoy their beers and the kids enjoys their meals. 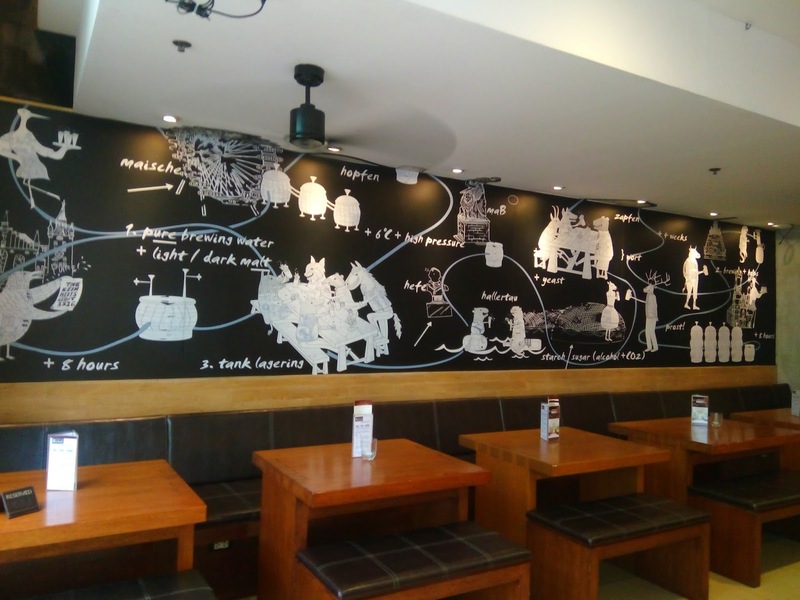 I seldom visit Ortigas area, but if the Brotzeit Glorietta gets full packed, I can swing by to Edsa Shangrila branch for my cravings. 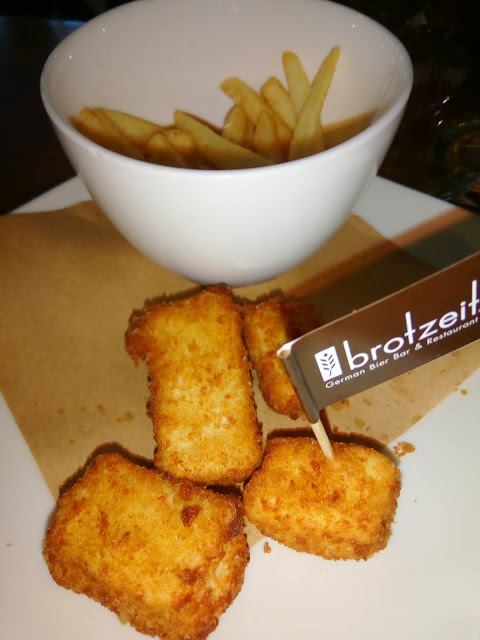 I got intimidated with the brand Brotzeit, thought it was pricey. I stand corrected, the prices are worth your penny. The staff gave us a stress-free dining experience! 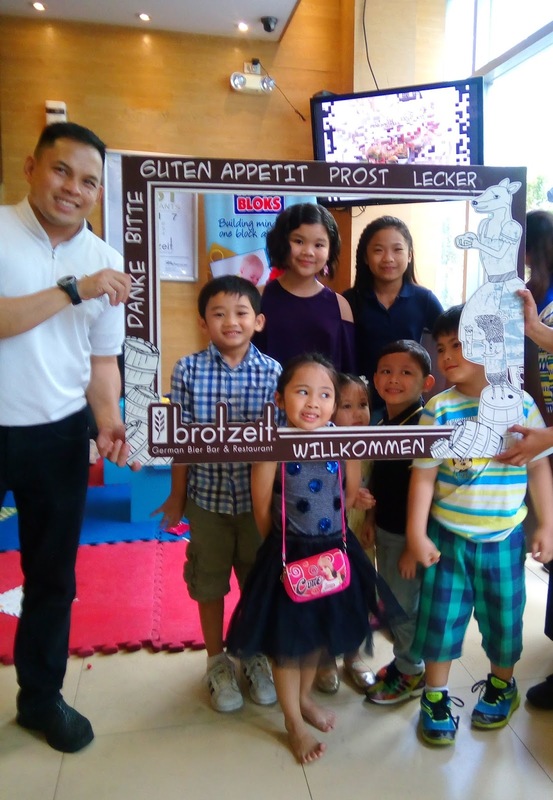 Come and visit Brotzeit Philippines!